As I read those words in one of my students’ cards, all of the struggles and frustrations of the previous semester melted into the warm knowledge that even with all my mistakes, I was making a difference in the lives of my students and teaching them my favorite subject: writing. The profession of being a teacher is a richly rewarding one, but the path to getting certified as one is often daunting and difficult to navigate. After all, if parents are going to entrust the care and education of their children to a complete stranger, they need some assurance that school teachers are competent in their area–thus state certification. But for the aspiring teacher, where do you start? 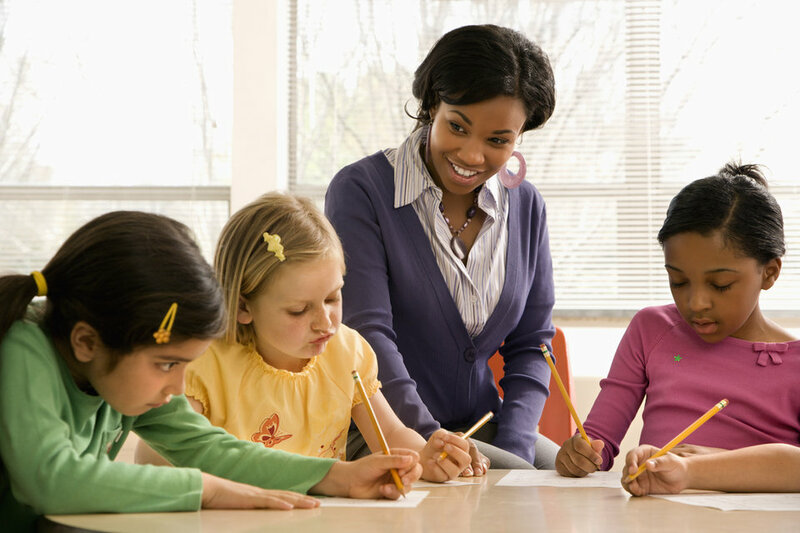 You’ll have to do research into your own state’s requirements, degree choices, and teaching opportunities, but this article provides a quick overview of how to become a teacher. Researching this early on helps ensure you’re on the correct trajectory without wasting valuable time or resources during the preparation phase. While each state’s requirements vary, you can generally expect to need a bachelor’s degree (minimum), a teacher preparation program (including education courses and fieldwork like student teaching or an internship), as well as several tests to demonstrate general and specific knowledge. The best way to find out your state’s specific requirements is to go directly to your state’s Board of Education website. Sites like Teach.org or Teacher Certification Map can help simplify the requirements. It is possible to find a teaching job in private schools without state licensure, but this is not a dependable plan, since private schools are more likely to prefer the confidence and protection that state certification provides. Most teachers are more than happy to help others with their knowledge. All you have to do is ask, which can be as simple as, “Hey, I’m interested in teaching and I was wondering if I could take you out for coffee and pick your brain a little bit.” As you build relationships with teachers who are a few steps ahead of you, they can help you understand what the job is really like on a day-to-day basis and offer their own advice about certification routes, necessary character traits, and even job openings when the time comes. A bachelor’s degree (usually, but not always, in elementary education) to teach at the elementary level. A subject-specific bachelor’s degree (e.g. math, English, history, etc.) in the subject you desire to teach for middle/high school. Master’s and doctorate degrees, if you wish to teach in higher education. The path to certification will require practicums like student-teaching or internships, but the more classroom and teaching experience you can get before you start, the better! Projected growth rates vary per region, but the Bureau of Labor Statistics projects 12% growth (as fast as average) for kindergarten/elementary teachers, 12% growth (as fast as average) for middle school teachers, and 6% growth (slower than average) for high school teachers. The world of education is a competitive market, especially as classes grow in size and technology helps teachers do more with less. All the jobs I’ve had since I was 16 , including the teaching position I have now, were through the recommendations of personal friends. Approach your mentors. Talk with your parents’ friends. Ask people at your church or co-op. The Internet is a helpful tool, but asking around and talking to people is the best way to find out about opportunities that aren’t posted on the web. Get a bachelor’s degree sooner than your peers and spend an additional year completing a master’s (like this Master of Arts in Teaching from Liberty University) that fulfills the requirements. Speed through your first 60 credits of General Education requirements for a bachelor’s degree and then transfer to a school that has a certification integrated within its program. Do an alternative certification program after your bachelor’s. Available programs depend on the state, but there are a variety of options available. There are a lot of steps involved in becoming a teacher and it will require a lot of hard work and creative networking to get to your goal. But once you do, you won’t even think about it when you’re teaching extra-credit poetry lessons during Monday lunch, or hearing your students cheer you on in a friendly game of basketball against the headmaster! The cost of teaching is high, but the rewards are equally high. Teaching is one of the hardest and most challenging things you may ever do, but I can attest that it can also be one of the most fulfilling things you ever do. 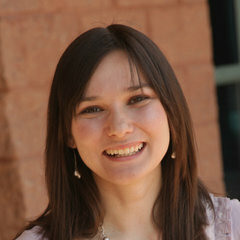 Misha is an Unbound graduate who has a passion for working with students. When she’s not spending time with students, she’s often practicing French, dreaming of travel, playing indoor soccer, or drinking tea.